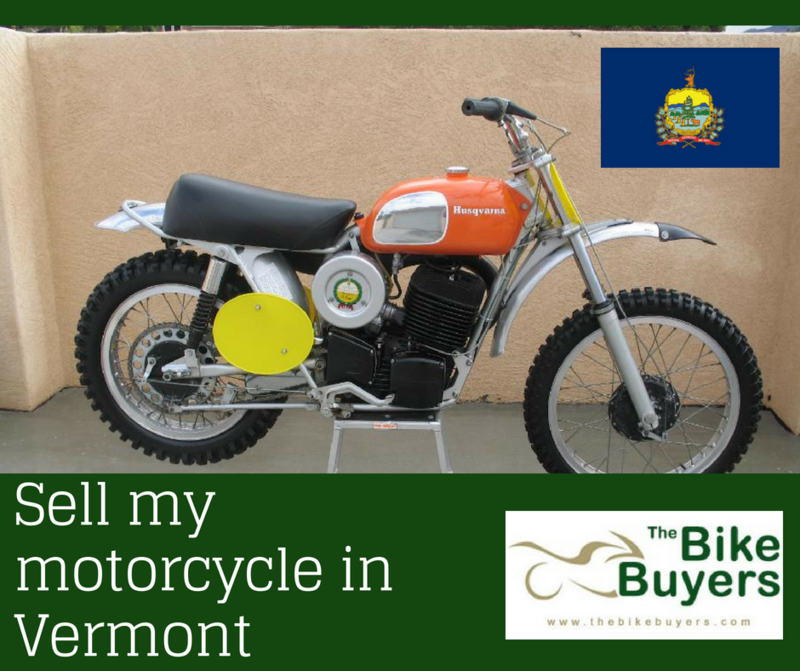 Selling a motorcycle for cash is very simple and hassle-free process with TheBikeBuyers.com in Vermont. We provide a valuable price for your used motorcycle. We pay much better cash than any other motorcycle buying company. We are BBB rated buyers of USA. We are easily available any where in USA for buying your motorcycle. So, stop worrying about selling your motorcycle in USA. We are here for you to provide maximum cash for your motorcycle. We want to provide our best result to each customer. We offer you maximum cash for your used motorcycle in a very short time of period. We pay much better cash than any other motorcycle buyers. We never use any middle man for making deal. These people can create problems for our customers. Without going further you can sell your motorcycle to TheBikeBuyers.com. Just fill some pints in this form according to condition of your motorcycle or call us on the following number 877.751.8019.